The last full moon for this year will be observed on December 22 and like every other Astronomical event which is followed with much anticipation, this one here too holds tremendous significance. Get your sign's Yearly Horoscope now! Since this Moon will be in the sign of Cancer, you can expect it to have an influence over your emotional side. Now speaking of influence, you must be prepared to wrap things up this #December anyway because it’s the last month and you don’t want to walk into a new year with baggage. Another interesting thing to note about this #fullMoon is that it would be in the square with Chiron and Mars close to the Pisces constellation. Which according to Astrology is a combination that can bring an upheaval in your life? You may find yourself facing an old emotional issue you’ve been trying to escape from a long time. Why are more people getting into Astrology? 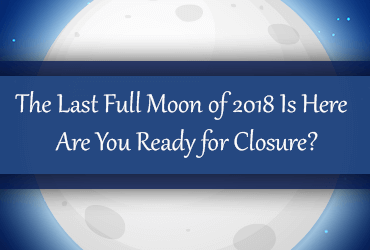 However, this Full Moon isn’t all bad as by the end of this year you’ll finally find a way to move on from your past; get some closure of sorts. Courtesy to this full Moon once again you’ll be able to align your outer belongings to your inner world thus creating a life that is more realistic. Aries: You people must be prepared to bid adieu to your beloved household in order to welcome a new life. It doesn’t necessarily have to be sad news because change can be good and a new adventure awaits you. However be careful with the finances. Taurus: You need some variety in your life so let go of old faces and places that you are used to. Make way for some new and happening hangout places and clear the clutter so that more and more people can be invited into your lives. Make sure you make a new set of friends. Read More: Which Zodiac Sign Is Your Best Friend? Gemini: You have done enough backing to yourself, now is the time to push others onto a higher path. You got to think over yourself and help others brush their talents. I can already picture you helping a colt managing his academic career and preparing himself for dream education. Cancer: Not only will you let go of your pride but you’ll also put down your ego to build a much better relationship with others and create something magnificent with a combined contribution. You’ll also make amends to your daily routine and inspire those around you be more conscious about health and a beaming personality. Leo: It’s time to throw your tantrums and needless emotional dramas out of the window and get back to the regular routine. However, amidst all this don’t forget to rethink your expenditure and cut down on the budget to accommodate a few extra expenses that might be following you next month. Read More: Biggest Money Mistakes Based on Your Zodiac? Virgo: Look around, everyone is evolving, hopping on the transformation express to reach the properousville. You gotta do it too. Time to let go of old dreams and aspirations and find yourself a new passion to follow. Libra: You may have some irrational ideologies and insensitivities to attend to before you enter a new year. Leave those and move on so that you can lead a much practical and grounded life. And if you think about it, it’s the best way forward for you anyways so keep that in mind. 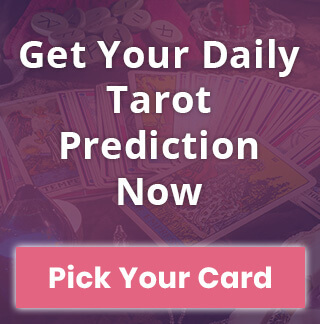 Read More: Your Love Tarot Card Reading! Scorpio: You have been procrastinating a plan from quite some time now and since this full Moon is all about doing something that you haven’t done, try executing that plan. It may be publishing a book, buying a new house or even planning a kid, you should be on board with the idea no matter how difficult it may appear. Sagittarius: You are done pushing the impending changes upwards, let them transcend. Good things and fortune are coming your way so you should play your part and be fearless to embrace the changes that are anyways inevitable. Capricorn: For you goats, this Full Moon is more about the inside than the outside. You are currently fighting with an emotional issue and it can be with your partner or maybe parents. Now, instead of avoiding it, try and start talking about it and get it out of the way so that you can finally get some closure and move on in life. Aquarius: You are darkhorse of the zodiac world, it’s been proven repeatedly so there is no need to toil yourself at work for those long extra hours. We believe with this full Moon calls for a time known as vacation. You need to take a short break and cut yourself some slack. 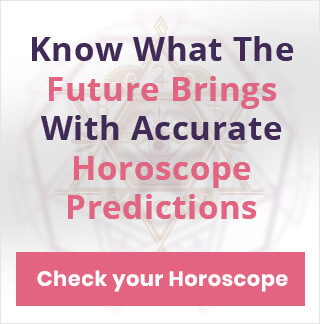 Read More: Free Monthly Horoscope Here! Pisces: You’ll definitely be spending more time with your family and kids post this full Moon. You have realized you are already way past your responsibilities and it’s time to lean back and relax. So enjoy these holidays to the best of your capacity and have a nice time.